Chicago just became the latest American city to start charging consumers a penny per ounce of any sweetened drink they buy in a “pop tax.” Chicagoans are upset about this, but not because taxes like this have been demonstrated to target lower-income communities. According to DNAinfo, a number of Walgreens locations around the city have been incorrectly taxing consumers of LaCroix, since is not sweetened, but “essenced”! Mon dieu. The tax on our Lord and Savior of Seltzer could add up to 72 cents to the price of a six-pack. DNAinfo found that at offending stores, the tax was not being applied to Walgreens’ Nice! brand of unsweetened, flavored seltzer. This wouldn’t be a big deal, as Walgreens was alerted to the mislabeling and is currently working on fixing how these unsweetened drinks are coded in their systems. Was this an annoying moment in the history of seltzer? Yes. I’m not much for flavored water and have never personally had a LaCroix (don’t @ me), so I’m having trouble getting riled up about this. 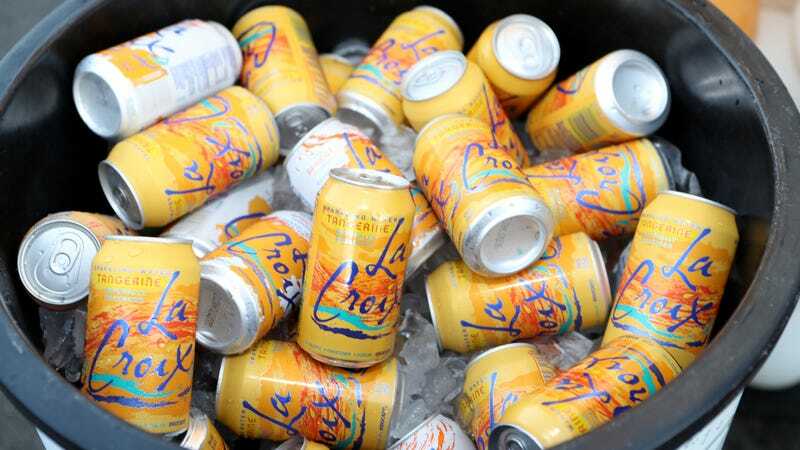 My advice is that everyone else do the same, but LaCroix fans are in a league all their own when it comes to cult followings of trendy drinks, so it became a Big Deal. There seems to be a precedent for this kind of uproar over LaCroix mistaken identity. In 2015, DNAinfo reported that Walgreens was applying Chicago’s bottled water tax to the beverage, which made some Chicagoans angry enough that they filed a class action lawsuit (that was overturned). None of this is the reason I don’t like LaCroix. But it isn’t helping.